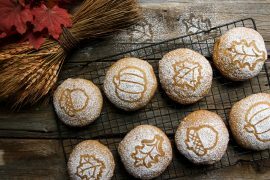 Celebrating Canada Day with these easy and delicious butter tart muffins, but they’re perfect any day of the year! 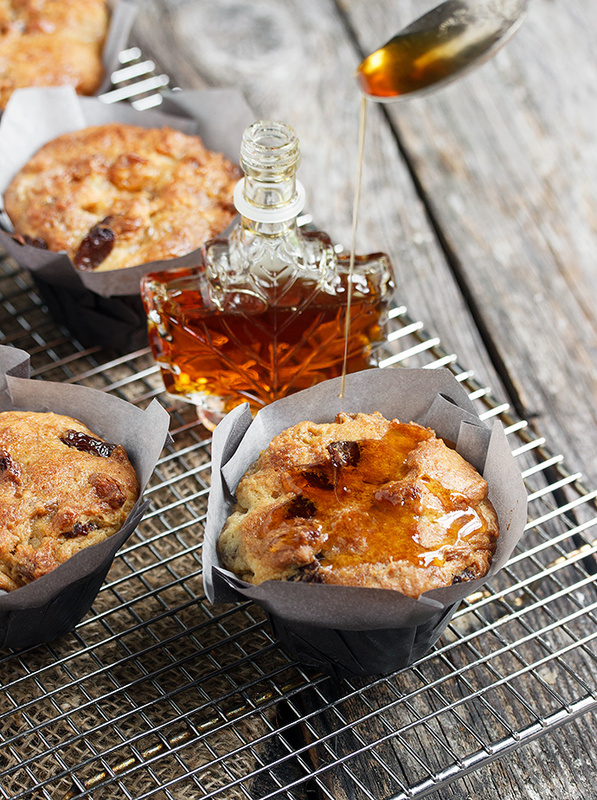 If you love butter tarts, you will love these delicious and easy Butter Tart Muffins. The batter cooks up in a saucepan and then bake up in the oven. 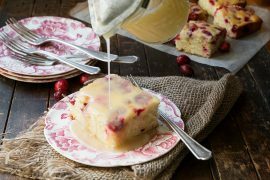 Enjoy warm or at room temperature with a drizzle of maple syrup. I like to go all in with the maple syrup. I spoon a bit over the muffins as soon as they come out of the oven, which flavours the muffin as it soaks in. I then add another bit right before eating one, to sticky it up a bit. You can never really have too much maple syrup, I say. 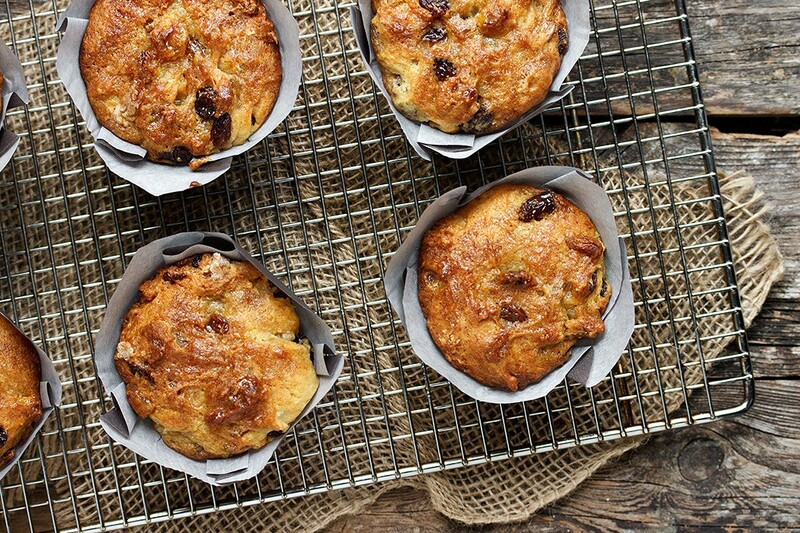 Delicious, small-batch muffins, that taste like butter tarts! 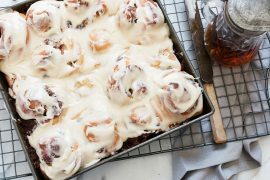 Perfect morning treats, drizzled with a little maple syrup. Preheat oven to 350°F. and grease or line 6 muffin cups. In a medium bowl, whisk together the flour, baking powder and baking soda. Add flour mixture to raisin/butter mixture and mix until all the flour is absorbed. Divide batter between 6 prepared muffin cups. (They do not rise much at all, so you’ll want to fill/over-fill the cup up.) Bake for 22-25 minutes or until golden and a cake tester comes out clean. 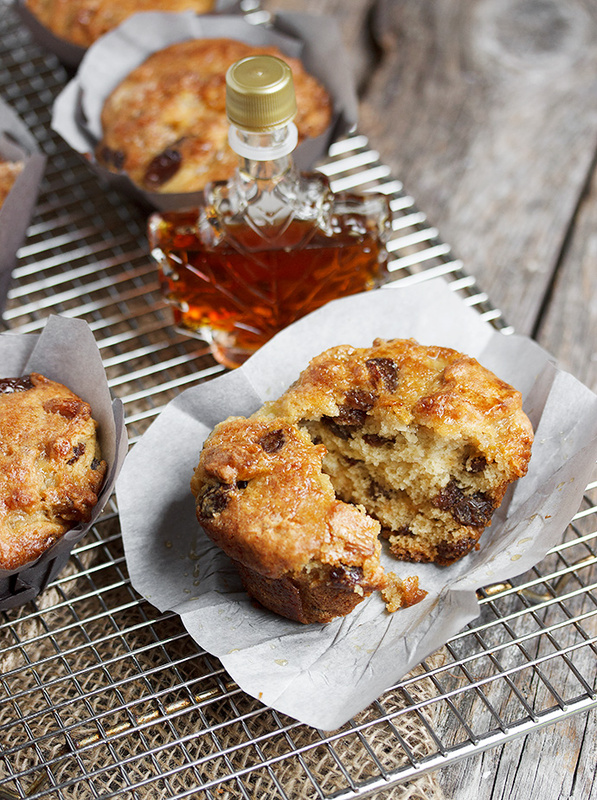 Remove from oven and spoon a kitchen teaspoon of maple syrup over each muffin. 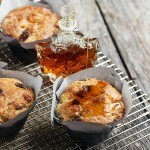 (I like to spoon another bit of maple syrup over the muffins just before serving, as well).